A dispute between two Washington, DC, area Shluchim that ended up in secular courts has escalated, as a judge issued an injunction barring a Shliach from operating on and within one mile of the George Washington University campus. Hopes for an 11th-hour peace accord were dashed as the case moves forward. Court proceedings took place Monday afternoon before DC Superior Court Judge Neal E. Kravitz, where lawyers for Rabbi Levi Shemtov, the plaintiff in the case, and Rabbi Yudi Steiner, the defendant, argued over a motion for an injunction by which Shemtov was seeking to bar Steiner from operating on and around the campus of George Washington University. In his motion for an injunction, Shemtov sought to bar Steiner from doing Shlichus work “anywhere in DC, or suburban MD or VA,” which is based upon the contract signed by both parties. On November 26th, the court rejected this ‘non-compete’ as ‘overly broad’ and ‘going against the public interest doctrine,’ and suggested that Shemtov file an amended motion for an injunction. In his amended injunction request, Shemtov made 11 demands, including: that the Steiners be barred from doing any Shlichus work within two miles of the GWU campus boundaries, an inventory of all the Steiners’ belongings so that it can be determined what has to be returned to Shemtov, that the Steiners not use the name Chabad of GWU or any variation of it, that the Steiners identify each and every donor that has ever given them or Chabad of GWU money or a gift, that the Steiners be barred from fundraising from those individuals for two years, and that the court should retain jurisdiction over the injunction in the case of a dispute. Yesterday, both parties appeared before the judge and presented oral arguments. The judge issued his ruling against Steiner and granted most of Shemtov’s demands. The only notable exclusion was the judge’s modification of Shemtov’s request for a 2-mile-ban, changing it instead to a 1-mile-ban. The judge’s order was later signed in chambers and served on both attorneys. Since the beginning of this dispute, Steiner has repeatedly invoked his right to a Din Torah, in which he questions his firing by Shemtov. Steiner reached out to Merkos and made those demands clear, and the Executive Committee of Merkos issued three separate directives – all of which were ignored by Shemtov, according to sources. Steiner claimed that he did not violate the contract, and that Shemtov was deceptive in his presentation to a Zabla of Shluchim that was convened to determine if Steiner’s firing was justified, only presenting enough information to make it appear as if Steiner committed a serious enough breach for him to be fired without affording him the ability to explain himself and why he believed it was not a violation of the contract. What was the breach in question? Two donations, one for $800 and another for $300, which Steiner claims were personal gifts that went exclusively to feeding his family after Shemtov let many months pass without paying Steiner, eventually owing him a sum total of $50,535.54 in unpaid salary and non-payment of rents – which resulted in eviction notices for Steiner’s personal apartment and the Chabad House. Shemtov claimed that those were donations and not gifts, and were not declared and transferred to him in the allotted amount of time, which constituted a serious enough breach to empanel the Zabla and summarily fire Steiner. The Executive Committee of Merkos instructed Shemtov twice to remove the case from secular courts and appoint himself a Rabbi to serve on a panel. Both requests went unanswered. A third request was toned down, reiterating the demand for him to appoint a rabbi but only requesting he delay the court proceedings pending the outcome of the panel of rabbis’ decision. Again the request went unanswered and unheeded. CrownHeights.info reached out to both rabbis Shemov and Steiner requesting comment. Rabbi Shemtov responded that he wouldn’t have time at the moment due to an upcoming event, while Steiner outright declined. Editorial: Why was the original article removed? The actual reasons were entirely altruistic. A group of individuals reached out to us and requested that we suspend the article temporarily. They were working on a possibility of reconciling the two parties, and strongly believed that the article would serve as a hindrance. Being that the request was made in a respectful manner and was a chance for us to help foster sholom, we happily obliged. Unfortunately, some sought to paint the article’s removal in a light that suggested that some ‘legal threats’ were behind the removal, rather than focus their efforts on the opportunity to render the article obsolete by achieving peace. In light of the court case moving forward, clearly indicating that the efforts to achieve peace have failed, we have republished the original article, and will be publishing a follow up on this story in the near future. can somone remind the readers how many shluchim were fired by Mr Shemtov and how many of them his close family ? please give me information that can uplift and bring me to be a better yid. I won’t say for either way in the actual unfortunate machlokes, but when public leaders are going to archaos when parties wanted Beis Din there needs to be scrutiny and revelation of facts to show that the motions are proper in this circumstance in order to avoid a chillul hashem because of something that appears to violate halacha. I’m mainly astonished at the inane hypocrisy displayed by an individual, preporting to be a righteous and idealistic rabbi, whilst oozing with selfishness, greed and arrogance. Shlichus is about ahavas yisroel. Fighting about shlichus is fighting about not letting someone else do ahavas yisroel. Why don’t you all have sone ahavas yisroel by letting each other do the mitzva of ahavas yisroel? Oh it’s not about ahavas yisroel? Then it’s not about shlichus, it’s not about what the Rebbe wants. ain groser chillul Hashem haolomi! To all commenters crying Chillul Lubavitch. Chillul Lubavitch is a TERRIBLE thing. That being said, transparency is very important. If people in power know that they can abuse that power and it will be swept under the rug, they will have no incentive NOT to abuse their power. The blame for the Chillul Lubavitch should be placed on the shoulders of the parties guilty of doing wrong NOT on the news organizations who report it. 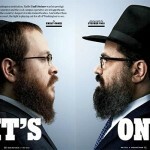 Shemtov won and the Rebbe lost again. They will never learn as long as they think it’s about themselves. Really sad..
What a disgusting Chillul Hashem and Chillul Lubavitch and a mockery of our Rebbe. Two esteemed Lubavitcher Rabbanim involving a Goyishe court over money. What can possibly justify this??????!!!!!! Where is Merkos and Aguch hiding??? Is it only when there is a roll call and spontaneous dance that they show off their faces. I still don’t understand why you posted. As someone who followed this, from an objective point of view, all I can say is that Shemtov is a rasha merusha. Anything he accomplishes in his “hafatzas hamaayanos” is canceled out by this huge chilul hashem and chilul lubavitch. Does he wonder why moshiach has not yet come? why are hanging our dirty laundry out???? What do you think the Rebbe would have to say to you about all this? It would be pretty shameful for you if you had to face the Rebbe! You are making a chilul Hashem of the Rebbe’s holy work for a little kovod! It bothers you that Rabbi Steiner was doing so well and is so loved by the students so you are stopping him to work? What a shame!!! My stomach is turning just thinking about it. Worse than the Yevanim! For our “Eigene” to do this. Hashem yerachem…. Imagine how much agmas nefesh the rebbe is having from this. When I saw the original document removed I initially thought you may have “bowed to pressure”. Happy to see it was for purposes of Sholom. what a terrible chilul Hashem! … Who wants to be under Merkos?? This is just what we need these days, more reasons for the Geulah to be delayed! The Rebbe said the ONLY purpose in Shlichus now is to bring Moshiach! This “Shluchim fight” kind of defeats the purpose! Yudi Stiener is a Tzadik, and will prevail. We love you Yudi! we are with you heart and soul! Didan Notzach!! Things like this give keyach to the Snags, they are ruining all the years of PR of Lubavitch! Yudi, I am student of yours, you welcomed me week after week, you were always there for me. We will do everything and anything to make sure you stay a Shliach at GW. You have our backing! G-d bless you Yudi! Stand Strong! You always taught us to be strong no matter what , now its your turn, the good will prevail. We are planning a full page add in the NY TIMES this Friday, in your support. It’s a Shemtov thing to do, bring Shluchim to court!!! In London, in Detroit, and now this!!! Yudi!! Halt Zich Shtark! Svet Zain Gut! ver nist nispoel foon ale mnioos vieekoovim!! The students need you , stick it out, we know you can do it!! Rabbi Kaplan. : did u give it away to Shemtov? Maryland and DC are different. Rabbi Kaplan is the head Rabbi of DC and Maryland but has stayed quite till now. 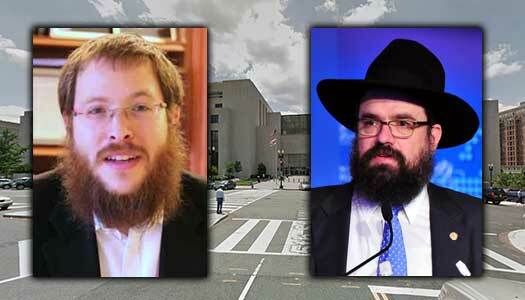 Shemtov illegally claimed he was the head Rabbi of DC. Just another unethical thing he’s done to add to the list! Oh Yeah! You can say that again! He is a true hero! Rabbi Shemtov should be ashamed of himself. Shlichus is about helping fellow Jews, not about money or prestige. Really an overall indictment on the power, or lack thereof of Merkos/Aguch to solve this problem – either through compromise or controlling these power battles. Aguch? So avremel Shemtov should broker this? Last time i felt this way (regarding court matters), was the Shomrim Six blood libel. What a great site! I’m so impressed how far you’ll go to be proper and hope for sholom. Rabbi Steiner is at fault, what was he thinking signing that insane contract?! All the conditions of the contract were just reiterating what the rabbonim paskened in a din toirah. He was caught violating the din toirah (by misappropriating money). End of story. The court heard EVERYTHING that he has to say. The judge heard EVERYTHING. yet the judge gave the preliminary injunction which everyone knows is unusual and only given when a judge is really convinced that one side is right and one is wrong. Rabbi Shemtov doesn’t need a lesson from you in kiddush Hashem. By the way, he paid for EVERYTHING Steiner did. All those yummy meals that the students ate etc. If Steiner had real friends they will tell him to move on. Based on your comment I can see you dont know much on what went on starting from the din torah. Rabbi Steiner won the Din torah,But the rabbonim tried to keep both sides happy and sort of swindled rabbi steiner to sign a that stoopid contract. Now he didnt break any contract at all actuslly shemtov broke it all along by not paying him and owing him so much money,the money that shemtov claimes he took was clearly a gift. Another fact,when shemtov was paying for thoes dinners rabbi steiner was limited to what he was able to do…..So for those that want to know the last year or so that Shemtov couldnt efford Steiner the dinners and events got better and bigger THANK YOU TO THE CHABAD GW STUDENTS AND ALUMNI for the FINANCIAL SUPPORT your giving Rabbi Steiner. a shtar can be enforced by archaos in certain circumstances – the secular court is not considered to be giving a “din” if it’s just enforcing the ruling of a B”D or shtar. If Merkos instructed Rabbi Levi Shemtov clearly NOT to go to court and he went against their instructions – why in the world is he still a Shliach (under Merkos)?! I am a Shliach who had to go through such a process – why is he different than anyone else? Can someone please explain? That’s a pretty intense contract for dedicating your life to Shluchis. Would have never signed. Everyone who is quick to judge – There’s obviously a reason why a proper judge ruled in shemtovs favor. You pron don’t know that rabbi s Kaplan has summoned rabbi a shemtov to a din Torah over violating the contract he signed that all local non governmental shlichus in DC are not to be under Shemtov rather under Kaplan. Have you seen the document above??? Don’t be a “hired Shliach”. Biggest mistake. For that matter, don’t work for any head shluchim. They do not take kindly to other successful shluchim. They also are taking care of their own children. This is reality. Scream and cry and condemn Shemtov but this story happens ALL THE TIME. I know at least two more cases of a head shliach firing another successful shliach. Yudi Steiner is naive if he thought he was immune to this. The Rebbe must be real proud of all his shluchim today. Cunin in the news and now this. Shame on the shluchim and shame on the Kinus. At this point, it should be shut down, pending reorganization…. its about time for Merkos to once and for all take a stand. 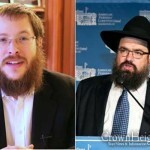 Shemtov should be removed as a shliach and his position should be given to Steiner.. In general shlichus is for parents to bring in children and sons in laws and bali teshuvas….how many great rabbonim are in crown heights in college…..
Did rabbi Shemtov not breach the contract by not paying him? Before you sign a contract with a head shliach, get a lawyer to put in a legal clause like this: ” In the event that there is a dispute of any kind both parties agree that the matter will be settled in a court of Jewish Law and both parties agree that any and all issues will not be brought before a secular court”. So many young energetic Shluchim are idealistic and they end up getting messed over by these contracts. There should be a “wall of shame” for Shluchim relationships that tanked. It’s so sad it’s funny. All these head shluchim are the same, when they see that someone they brought down is successful they will crush him. Nothing will stop them, not the Rebbe, not Torah, not G-d, not merkos, not beis din…. they are all about money, power and ego. Feel bad for rabbi Steiner. There are very few Rabbis who are on shlichus the way the rebbe wanted! Not for power and fame, but out of true love for every yid! That is Rabbi Yudi! Keep up the great work! We are all privileged to see the unveiling of the truth of the motives of some so-called Shluchim. Money is truly NOT the Alm-ghty. Halacha is the rule. Who follows the rules proves that he is a true Shliach of the Rebbe MHM. Rabbi Kaplan is a davening practioner. He has no time for this. Sadly, this is just the tip of the iceberg. California, Boston, Fort Lauderdale…. to mention just a few of the other disasters brewing! Time to heed the advice of Rabbi Yehudah Ha’nasi, Remove the old and replace them with new! this all comes from the top down!!! Money and Power have corrupted our eini ha’eidah! Why do you say disaster is brewing in Fort Lauderdale? Just curious. Where is a bisselle bitul?????? There are head shluchim around the world who succeed in their shlichus because they not only tolerate those working with them but encourage them. Its’ not all about who can get closer to the president or vice president or the mayor. It’s about how many people get inspired and warmed up to become closer to Yiddishkeit. We don’t need enemies from the outside. It’s time for Merkaz to wake up and see the damage this story is causing amongst our future shluchim… just read the comments in this thread. Shemtov went to court – now he needs to be sent home. Lman the future of shlichus… please insist that steiner stays. Unfortunately some “shluchim” are so secure in their position of power they are prepared to speak lashon hora and tell lies to stop other’s from succeeding – knowing they will continue to be unaccountable for the pain they cause. -its a SHAME AND IT is so embarrasing for a jewish site to put this story up in public..pure loshon horoh! we are not goishe media. – its a shame that a shliach has to go to court and cannot take care of this in beis din!! !wonder what true motives are! -its a shame that after all klal yisroel has gone through this year and in particular lubavitch people cannot have ahavas yisroel!!! oh and by the way, barry fraundel was also respected. Yudi is the man I personally have seen him in action & his countless baalei teshuvois speek for itself! !Yudi stand strong the students live u & will walk that mile for u! No biggy! Hatslacha!!! Read them before you comment. Commenting on a judge’s verdict without reading the case is childish. Yes it is true that R. Shmuel Kaplan is head shliach of Maryland which WDC is in that state however it could b that because Harav A Shemtov was sent by the Rebbe it could b that WDC isn’t included in the state of Maryland & that everywhere else is under Rav Kaplan. So it’s not so clear that Rav Kaplan could tell Levi Shemtov what 2 do. eh, did you read the letter they ahve for 35 years ago? My klal is I look at the comments posted and see side with the party with less backing he’s usually the one who is right but as it always goes everyone likes the underdog that will never change. It’s always hard to side with the team who has to pick up there bags and leave all there hard work behind and sometimes we even feel guilty as if we aren’t sympathetic people. O and after having checked into this case my KLAL was right again. I think Levi Shemtov is a very tough person and I wouldn’t necessarily advise anybody to sign a contract with him but in order for shlichus to go on smoothly rules must be rules and they must be followed and if a boss/head Shliach fires a Shliach for breaking his contract that must be carried out even if it was because he missed a shachris (advice don’t ever sign a contract that demands such things you are asking for trouble) but when it happens sadly you got to go. There’s just no other way for any system to continue moving forward. I wish yudi Steiner hatzlach in everything and truly feel for him and his family. As a fellow shliach im so sorry you must go through this hell. Stand strong! The ppl who are trying to stop mitzvos from being done on campus will fail! It’s not a possibility, it’s a eventuality! Know you have the support of shluchim world wide! Stand strong till the end, and may we celebrate together when it’s over! If rabbi Yudi leaves this campus you can be rest assured their will be no more jewdiasm here for many years. Unless the president comes to campus of course, in which case you’ll see shemtov’s face all over collive…. Ever wonder why Moshiach isn’t here? Stories like this. For shame. I was once asked to a sign a non-disclosure agreement at a Chabad institution that was based on doctor-patient confidentiality protocols. It was very broad and would have potentially prevented me from doing anything similar my entire life, chas v’shalom. I asked my rabbi and he said we are not in communist Russia and you don’t have to sign. This eventually cost me my job, but since my opposition also soon left the mosad, and never went public with the story, there was no need for me to go public either. Since then I have experienced many setbacks when dealing with the Chabad “establishment,” but since they have kept their motivations hushed, I have also never publically aired a response. 1) Don’t sign broad contracts. Have a lawyer look over any contract before signing, and don’t be pressured to sign. I am not saying to immediately become a mushroom, but this is something to consider on a personal basis with one’s mashpiah. 2) Don’t think that this is Chabad. While that the laundry is now being publically aired, know that these power and territorial battles are personal issues from individuals. May Hashem give Yudi the strength to overcome this test and go on to ever greater shluchus. My heart is crying that you once again have to go through this! Stay strong! Your “employer” my not believe it but there is a Hashem in this world who knows and sees it all. My only wish for you and your beautiful family is that you get the strength to keep sight of the goal you had when you went out on shlichus which is to mekarev yidden! Wishing you lots of luck to overcome this unexcuseable situation! R’ Shemtov means well. He likes kovod, but doesn’t everybody? He didn’t have the money to pay, what should he have done? He didn’t have many other options…. It’s just a shame he doesn’t know how to let go of something and let someone else take it and run. Btw, I think this would make it the 3rd person being fired from DC. means well ahin means well aher. what does that have to do with rishus? how about chopping off someones head, with well meaning intentions? if he did not ahve money to pay, then why is he crying foul that steiner took money. Learn your facts before you give your input! It is ludicrous to put justice to a Rabbi who so heartlessly sends away a fellow Shliach simply because of his incredible success on campus! You go Levi! Show the world who is boss. You are a powerful man, why not use it? Don’t care what anyone thinks you do what’s right. Continue making the rebbe proud and be mekadish shem shomaim. Firing shluchim is an important part of being a head shliach. I hope to see another shliach moving to DC shortly so they can be fired as well. Just do what you gotta do and don’t care what the world thinks, that’s how you are so successful. The 100 ‘s of Jews pack your chabad house every shabbos bec. They know how powerful you are. So this is a matter of success and showing who the boss is? Nothing to do with the Rebbe wanting our Shluchim to bring Yidden closer to Yiddishkeit? Who do you think gives the brocha for success? Not Levi Shemtov, not his father, not Merkos, and definitely not the secular courts of our country. Time to get over yourself, and allow for true shlichus to be done, not just success in the public forum. Wow how pathetic you just sounded there..
A COUSIN clearly stating how it’s all about the power and showing off!! And btw- maybe you haven’t visited american friends of Lubavitch in dc vey often, because every time I’ve been there, there was barely a minyan.. Great to hear the made up stories of hundreds of Jews packing his chabad house very shabbos. He don’t have no hundreds in his chabad house… His “cousin” was being sarcastic..
My father was one of those shluchim who really felt that you should give everyone a chance at shlichus and not just take your own children. He hired a Yungerman who spent the next three years undermining every single thing that my father did. I am on shlichus now. I would NEVER hire anyone but my children or just regular people in the community who would look at Shlichus as a job. The ‘little’ Shliach is not always so innocent. Every person who goes on Shlichus wants a place to hang their hat. They want the shlichus to be theirs completely. They don’t even begin to realise all the work that the ELter Shliach put in place. They just take it all for granted. Rotten apples can come from either side. I did not read enough about this story to take sides, but someone must fix these issues and fast!! I think it there is much truth to what #92 says, and I think in most cases shluchim’s children are in fact the best candidates for local communities they grew up in etc…but as #93 says, this is not always the case…Individuals should be treated on an individual basis…generalizing is small-minded and almost always comes mistakes. Satmer and Bobov fight over MILLIONS of dollars and real-estate. In Chabad Lubavitch, we fight over Eleven Hundred dollars and a basement on Eastern Parkway. Issue to be addressed on the web-site. I am just here to say that I have spent a great deal of time in Washington D.C, in the Shemtovs house- and I can tell you CLEARLY that Yudi & Rivki Steiner are amazing and incredible Shluchim who are very much loved by their students. There is no reason that they should be taken away from their work, only because someone is jealous of their success and that is a very UGLY thing. Causing pain to the Rebbe and disgracing Lubavitch, as a head Shliach you should be an example not the opposite! SHAME ON YOU!! what type of comment is that? This article is not the hole story if u wanna write comments make sure you’ve got your facts straight. are the documents not there? do you have any other facts to share? It’s all a blessing in disguise: Exposing the flawed and corrupt corporate structure created by “administrative” forces, as opposed to the decentralization that the Rebbe instituted, which depends on a chassidishe bittul creating a spirit of cooperation while allowing everyone their autonomy. The Rebbe’s rotzon will prevail. In a little time (should Moshiach still be delayed ch”v), the number of shluchim outside of the superimposed “corporate” structure will outnumber the others. Time for some leaders (if there are an) to read the writing on the wall and embrace all shluchim, respecting each person’s commitment while developing a ruach of ish es echov ya’azeiru. We all know who your dealing with and what a difficult person he is. Just want you to know that we all support you and are hoping that Merkos takes a strong stand against LS’s despicable behavior. The one side that loses no-matter-what are the GWU students, alumni, faculty, and community members who sought Chabad for support. Another side that loses are the DC young professionals who admired Chabad in DC, especially after all of the rabbinic disasters we’ve had over the past year in DC. That is sad. It’s one thing if this was a corporate-legal battle between two for-profit companies in a duopoly, but this is a not-for-profit shlichus dispute. Isn’t that pathetic? GWU Alumnus 2014, DC resident. Everyone keeps attacking Levi Shemtov without mentioning his father Avremel Shemtov. While I don’t know how much he is involved with all this but he is Levi’s employer and is ultimately responsible for all this. He’ll be responsible for the chillul Hashem that will result from all of this. It’s just a matter of time until this reaches the wider press and this will affect the complete hierarchy of Lubavitch R”L! My freshman year yudi and Rivky moved to campus. In a few short months, judaism was booming, with shabbat dinners, weekly classes, holiday activities etc. etc. rabbi and reb. Had this unique wormth that drew in all types of students. Or, “yudi, why aren’t we working on getting a permanent place for chabad…?” And MANY other qu. Yudi’a always pushed us off, saying one day, one day… Recently we’ve learned the reason for all the obstacles was 1 man. The man who claims responsibility for jewdiasm in the entire DC area! Being secular Jews, we just couldn’t wrap our minds around this!? R shemtov himself was the active force constantly slowing down operations??? Yudi and Rivky, we love you so much! We feel terrible you are going through this. May God bless you and your beautiful family, and PLEASE, for the good (and only hope of jewdiasm on campus) stick this out and fight till the end! Goodness and light will prevail! Gosh, with that spelling and grammar, I’m making sure my kids don’t go there. Everyone screaming Shemtov is wrong? Really? Before Yudi moved down, his good friends told him to be careful, his reply? “Oh, don’t worry, ill take care of this and that etc..” like a big “macher” he thought he was above his contract, he thought he will one day break it and all is gonna be well, right?. well wrong. Yudi you knew clear and well what you were getting into, the judge also knew..and now you have to live with it. And to all you good friends of him.. tell him to get what he can from Shemtov and LEAVE, before he doesn’t get anything..
oh so yudi is wrong, because he should have realized that someone will maliciously chop his head off.? lets get the facts clear about the judge, even if it was a true judgemen. it is so no different tehn a chosid shoiteh, who says that since it is a woman drowning then i can’t save her. the fact is, that this is a sick!!!!!! case. and now to you, your name is….shemtov by any chance? Glancing thru the comments, I see one very important factor coming up! 98 comments are FOR Yudi, and TWO are for Shemtov! Kind of says it all, don’t you think! Good luck Yudi, hang in there, we’re all there with you! The Shemtov supporters are actually, like Shemtov himself in mivtza chanuka and not paying attention to sore losers, who lose a din torah, then an arbitration and then a court case. He is an “Expert” davening practitioner. Oy…… #100 said it all. Like the hylediger Baal Shem Tov said so we see it so open and clear from this student #100 and other students that wrote similar comments and the 100’s of students that signed their names in support of Yudi. The Besht said that the highest and holiest level of G-dliness is expressed by the “poshiter Yid ie the “simple”Jew. Oy……Rabbi Shemtovs…. What can I say. You have indeed accomplished so much…..but lyder….LISTEN please to these tyere yiddishe hyleger students. Turn a chillul Hashem to a Kiddush Hashem by admitting your mistake. damaging the relationship of thousands of Jewish campus students toward the leaders of Lubavitch that the Rebbe entrusted with his shlichus admit that this tyere yungerman and Rebbetzin are exactly the shluchim the Rebbe wants to represent him. If you are worried about SNAGS you are as despicable as any infighting going on. The fact that you can even use that word shows what a hypocrite you truly are.This is what you worry about-image??? ?Really?I have no idea what is going on because Im not a part of your inner circle and only care about the Rebbe but many of my family are so-called snags and other chass. groups and when I see what you really think,maybe I should thank you so I can see what is said behind closed doors about others.So maybe a thank you is in order. Here’s some fun facts for all of you who say we have to “respect the system” with all it’s faults as it’s the only one we have. After Yudi won his DT, preventing Levi from firing him without cause, a Sholish (R Piekarsky)was appointed by Bais Din to work out details of new contract. Both parties signed off on this arrangement. As soon, as Levi found something disagreeable he accused the Sholish (whom he initially agreed with a kinyan to be a dayan on the case b’chsav ) with bias. He then went on a terror campaign against him threatening him with a secular law suit! So, I’d be fine listening to rules as long as both sides must conform. Otherwise, we have Al Qaeda using our democratic rights to kill us. Yudi, for the next day or two the PR will all be in your favor. The day after tomorrow you will be yesterday’s news. You made your point. You were mistreated now move in. Do you want to spend the next 2 years in court and risk losing again. We love you but do not become everyone’s NEBACH. You are young and energetic. Find a new shlichus and do not spend the best years of your life fighting. It is simply not worth it. Your friends that are encouraging you to fight will forget about you by tomorrow. Hatzlocha. Even if yudi loses, the non compete in his contract the judge revised to 2 years from the date he was fired. Which means in less than 2 years he can be back at GW and work on his own with Shemtov taking him to court with his non-compete. Yudi stick it out and you will be the winner at the end. Shemtov thought he would be able to bar you for life, now the judge struck that down to 2 years! You sound very supportive. Why not tell him to “think positive” too, that may also help him. Not that you’re wrong – I also advised a similar victim to just pull the heck out of there at all costs despite the temporary pain of ingesting feces from his Master – but FYI its easy to talk though another story when he’s put to the test. I hope the victim will get through this transition, but I also hope for you to one day learn how to feel another person’s pain before showering them with love. Your advice would then be so much more effective. Can’t wait for the final touches of the New York Times Ad to be ready!! Nothing hurts Levi Shemtov more than his name!! I could wait, because alongside that full page ad would be a full page Muckraker journalist’s written delight at the opportunity to enlighten its readers with insight into the sociological and political laundry handling practices of undergarment soiling by orthodox “rabbis.” Can’t wait for the NYT’s final touches. As a Yid, I am sitting back and looking at the ramifications of this most unfortunate Chabad disgracing episode. I am thinking about all the “collateral effects” this issue has on many other people both, friends and family. Yudi himself (and family) is a Mudrach of the Shemtov-Detroit clan (I am not judging, just stating facts). The Steiner’s of Toronto are Botel to their Head Shliach (and correctly so) whose son-in-law is the son of the head Shliach of Maryland, and who is also a board member of Merkos. So now the question is: who supports whom? Does justice come before family? Does politics (oh yes, there is a lot to go around) justify the means? and most important of all is the question as to why all those people and Shluchim that support Yudi, are afraid to raise their head and have their voices heard? I sense somewhat that the answer is actually in the question itself. Do head Shluchim employ there own children first? Sure, and it happens all the time. Does it mean that their children are always the most suitable for that position? most definitely not, but Odom Koroiv Eitzel Atzmo, and this is reality. Does it happen that a Shilach (hopefully unwillingly) undermines a head Shliach? of course it does, and regrettably so. Does it mean that the “undermining” Shliach is always wrong? The answer is that no, and in fact, in most (not all) such cases, it is usually when the head Shliach becomes amateurishly jealous of his “hired” hand. What is the solution? well, I am not Shlomo Hamelech, but I would venture to say ” az ven es shtinkt – shtinkt fun kop”. In other words, when a head Shliach runs rampant there must be a supervising body to keep everyone in check. Obviously, in this case it should have been Merkos, and the fact that this case is being laundered in the secular courts, speaks volumes of a major breakdown in the system. Does a head Shliach have major leeway in his decision making? of course he does, and there is no question about that, however, the moment a head Shliach feels that he has no “moiroi shel malchus” of a supervising body, then it is game over, period. As in any Machlokes, even the side that may be mostly correct (yes, nobody is ever 100% correct and without any fault whatsoever) end up dirtied nonetheless, but the ultimate real losers in this case are unquestionably the Yiddishe Neshomos at the University. Let us all wake up and smell the coffee, this childish machloikes is a complete Yenikoh Lachitzoinim and a complete embarrassment to our father, the Meshaleiach, the Rebbe. And in closing, Lema’an Hasholom, you do not have to אויספירען even if you ARE 100% in the right, if it may have an adverse effect on bringing Yidden closer לאבינו שבשמים. Such “Mesiras Nefesh” pales in comparison to the Mesiras Nefesh of Yidden during and under Russian communism……. It is easy for everyone to jump to conclusions. – First read through the employment contract signed between the two parties in its entirety. – Then review the DC and federal laws that deal with employer-employee relationships. Research non-compete laws as well. – Finally, apply the law to the facts of the case. Only at that point should you comment / come to conclusions as to which side “is right”. we are talking about right and wrong, not laws. and it is clear who is right over here. The contract has stipulations which entitle Yudi as Shluchim to a din torah to determine whether he breached the contract or not. Yudi and Merkos has been calling for a Din Torah and Shemtov refuses. For a (haughty)lawyer you come off as quite ignorant of the law. All wining (being “right”) a court case means is that within the confines of the us system of law you are “right” . Your comment ignores the bigger picture one can be “right” by the law books but wrong by any sensible human moral compass . There was no court case yet, its going to trial in seven months from now. This was just preliminary. What does the law have to do with right and wrong? I am not at all commenting on the story just on your argument. Might it simply be the one has older more mature friends who don’t waste much time on blogs and the others has younger friends who play the internet? Might it be that one is less sophisticated and thinks you win arguments in the court of public opinion and the other understands that you win in the court of law? Might it be that has REAL goods hence feels no need to publish them to the masses and one has limited arguments so releases what they have to ALL to read, hence one affects public opinion one doesn’t? Might it be that the underdog always gets the blind support from the masses while the “boss” is often despised as a 1%er? I am sure I can come up with many other reasons why your stats are 100/2. But, my guess is nothing will change your preconceived notion of right and wrong. Who is really in charge? Who was appointed to be in charge of the Universities in DC? If Chodokov’s letter is verifiable evidence that Kaplan is truly in charge of the communal aspects of DC which includes Universities than Steiner is really under Kaplan, and the original contract is void. Steiner does have a case if he chooses to fight on. Chabad must create a proper structure of powers and permissions. Without it it’s the Wild West. Times have changed. I did read the article before commenting and Shemtov was the first to breach the contract. He was behind in paying Yudi. He started to brew the trouble. Yudi and Rivky: Keep up the great work. I personally had regards from GW students on more than one occasion and they couldn’t stop raving about how special you are and all the great work you do! Saying that Avremel is responsible for this Chilul Hashem is correct but this is not the beginning. He is the one who gave his OK for his brother Berel to take Rabbi Silberberg and board to secular court against the Psak of the Rabbonim that only Rabbi Silberberg can be taken to court if Avremel Shemtov takes upon himself the resulting Chilul Lubavitch. The Chlul Lubavitch in Michigan has been enormous and the Shemtovs are acting against the directive of the Bais Din and lie to everyone about it. Merkos should enforce their control of the Shluchim and not let “Aguch ” usurp control or we will be in worse shape then now. Why is this made public?? Would our Rebbe want this public?? Why can’t this stay private and avoid chilul Hashem/ Lubavitch and sinas chinom ?? Why did this need to be publicized? It is what it is. 2 innocent families are involved and please have rachmones. the Supreme Court issued a ruling in a significant church employment dispute, giving religious organizations wide latitude in hiring and firing clergy and other employees who perform religious duties. That’s a “klal”, but obviously in this case there are shtaros, which is a different matter. While I understand and appreciate transparency and freedom of speech, reporting on this matter has extreme consequences. People living in Washington, DC who attend Chabad from time to time now no longer want to step foot into the Chabad house. This article makes Lubavitchers look terrible, and the news is potentially pulling people away from Yiddeshkeit, and the Chabad movement in general. Please consider the consequences of posting Chabad’s “dirty laundry” on this website. It has already started to turn DC Jews away from Chabad, unfortunately. This is not the issue. I seem to remember that the ALter Rebbe wrote something about chilul Hashem. Do we need more? Do we need to delay Moshiach a minute longer? Didn’t we all have enough already without this machlokes. Its a good 4 years or more that every week there is a levaya and shiva house. This insanity must stop and the only way is through ahavas chinam and stop the machlokes already! For G-D sake its enough already! How many lessons do we still need to learn. Do you not get it? Nobody in Washington is getting their news from Crownheights.info. They are getting it from the local media. As they are in Michigan, where many erstwhile friends of Chabad have been completely turned away from Chabad רחמנא לצלן because of the Shemtovs’ actions there. To #146. Don’t blame the websites for reporting. The fault lies with the one that goes to court thereby causing the Chillul Hashem and those at the top that don’t stop it! Not the reporter! The Emperor is the fool. The tailor is the schemer. But the kid at the parade is only saying the truth! To #148 – This news spread on social media from the crown heights article and the posting of court documents on these articles. Seems that the judge’s order is a serious violation of the separation of church and state. How can any judge forbid any individual from engaging in religious activities such as hosting shabbos dinners, purim parties or pesach seders? Anyone has a right to organize any religious event they please. Not under the name of Chabad, I can understand, but really the judge’s ruling is unconstitutional and violates the separation of church and state. Stiener signed a contract he was not able to respect. Shemtov has the right to fire him, but my opinion is, like they say in Hebrew: be smart and dont be right. Find a way, to make it work, what’s the big deal that someone else runs a shlichus, in a unvirsty that is in DC, their is plenty of shlichus opportunity for another 5 Shluchim in the area, bez”h the next shlich u hire, will have more bitul to you then this Stiener has. LEVI, better have Stiener affiliated with you then operating a mushroom operation against you. Your son in law, already has a shlichus, your next child will also have what to do when he gets married. Just let it go. Make the best of the situation with this Stiener and move on. Bettet spend your energy in positive and dont get dragged in the mud of negative, it will ruin all the positive you ever accomplished. If you step back for a second and think, it’s a disgrace to fight to such an a extent about the rebbes shlichus, especially a campus shlichus that is hard to survive on financially, and not many people want such a shlichus in the first place. Be happy the after so many years, shlichus is happening on a DC campus, spend your energy to bring down 5 more Shluchim this year instead of firing one shlich this year! If their is a will their is a way, to get Steiner to be respectful of you and be botul to you, enough for you to survive and be happy with. I respect you fhater, he is a smart man, discusse it with him, I assume he will agree with this post, especially now that he sees the damage your actions are cousing in the media. a broken shliach who cares about the rebbe, his shlichus network and the reputation of chabad worldwide. To sway pubic opinion. Write a one sided story (in this case in support of Steiner) lacking important facts and sway public opinion to a particular position. The article was honest enough to state that they couldn’t get statements from Shemtov or Steiner and yet people accept the unidentified ‘sources’ as fact! The power of the media! Every yid, but especially someone whose parnossoh is from Yiddishkeit — essentially an employee of the Ribono Shel Olom — has to understand that the money someone else raises in “your” area does not come at your expense. That money would never have come to you. Everything comes from the RBSO, Who has enough for everyone, and Who gives you whatever you’re supposed to have. What He gives the other person shouldn’t be any of your concern. My father says קוק נישט אריין ביי יענעם אין טעלער. If you don’t believe and accept this, then what are you doing in this business in the first place? How do you expect people to buy what you’re selling, when you show that you don’t believe it yourself? The employer now finds the next prospect lined up for the position; there are enough applicants/immigrants willing to work for minimum wage, so the new employee accepts meager pay, is asked to sign some paper-work, is told not to worry about it since its just the standard HIPPA non-disclosure kind of stuff, so he just goes along, after-all he already moved down with his family so its not like he really has a choice; and in a short few months his predicament is the same his predecessor; the revolving door goes on, and by the zillionth hiring cycle, the employer has had by now so much contract-refining re-writing experience he could become a freelance contract writer, could advise Stalin how to prevent an uprising, could by now have all his children, son-in-laws, and their families all well trained in the art of snooping, snitching, and tal-taling their findings to their loyal godfather. Ah yes. Truth hurts, I know, I know. But despite the realities, there’s still hope. Those of us who’ve been around long enough have seen empires during their downfall. It can be decades, or even ages, but when it’s fate is reached, every pyramid has its time. The 2 brothers of Satmar did the samething they went to the courts instead of the Beth Din and all their dirty laundry came out in public and it’s all about the money and power who have more followers is it willie or monroe the true leader of the satmars.